Pegasus Astro pocket power box (PPB) mini review. I wanted a solution to get my many cables down to just one power cable & one data cable from the scope to laptop & power supply. There are a fair few solutions but the PPB Link caught my eye and with PAS just around the corner I hung on so I could have a proper look and ask a few questions I had. I initially tested it all out in the comfort of the garage and found that the PPB worked spot on when directly connected to the laptop but when I tried connecting through my Startech USB hub it wouldn’t connect. I contacted Pegasus for some help and got a very timely response from Angelos who explained it was probably the USB hub as he had had this issue before and backed this up with a email from Startech from another user who had the same problem. I have now ran with the PPB several times while imagining and it has not missed a beat and after the cable management setup it has saved me a good chunk off time in both set up and tear down. Link to how I have mine setup. I have two dew heaters, DSLR, and power to both my HEQ5 pro and USB hub currently running of the PPB with two spare 12v connections for future use. The provided environmental sensor is spot on as I cross referenced the data it was providing at the time with several websites and the temperature, humidity & dew point all corresponded very well. 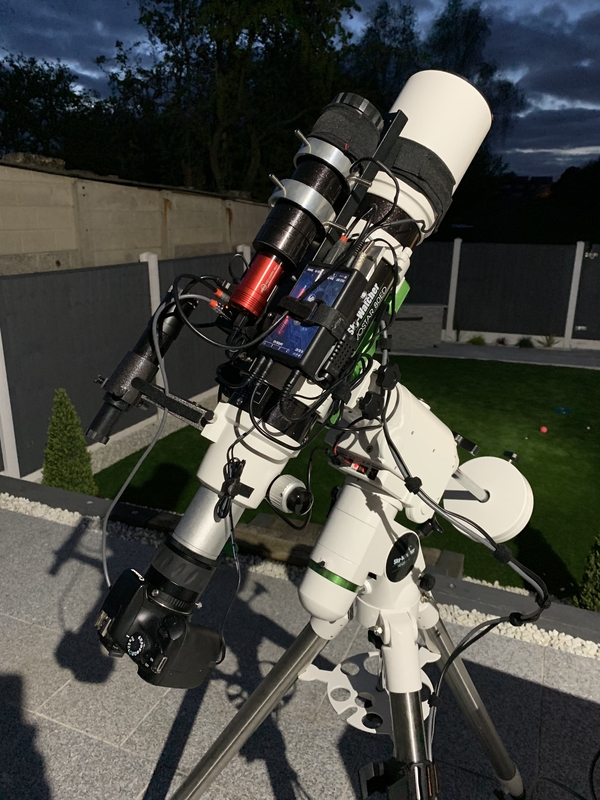 Am I pleased with the PPB....definitely, it has not only speeded up setup & tear down but also has very useful function with an extremely easy to use & well laid out UI. Just for confirmation I have no affiliation with either Pegasus Astro or Altair Astro.